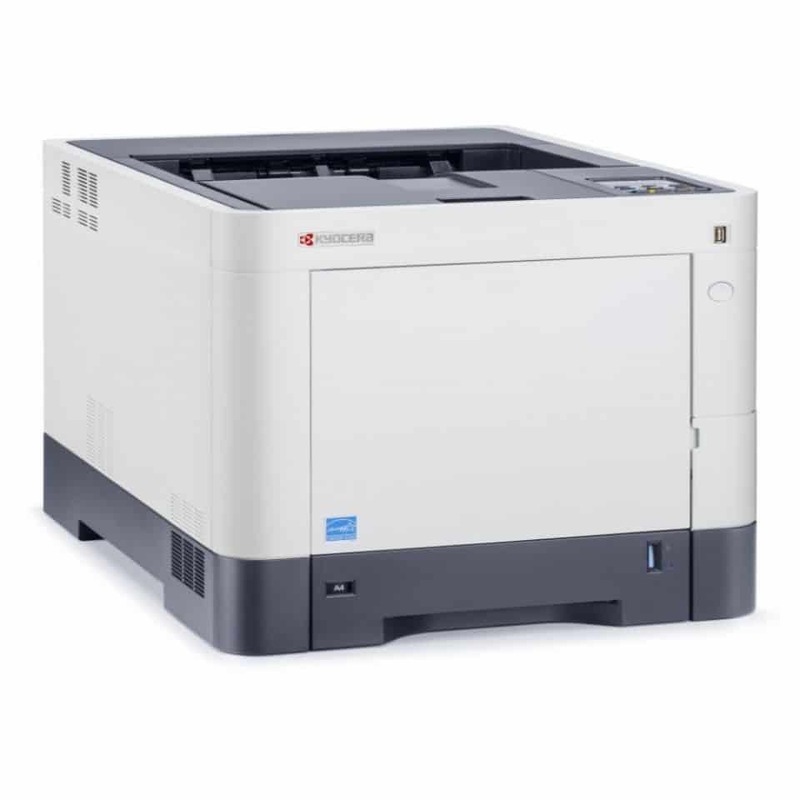 Significantly ease your workflow and achieve the best colour quality at minimal expense with the ECOSYS M5526cdn from Kyocera. This all-rounder comes with easy-to-use program keys, a 4.3-inch touch screen, and a dual-scan document processor to boost office productivity. Additionally, it contains a long-yield toner capable of printing up to 3000 colour pages for lower costs per page. You can say that it is the ideal multifunctional device for your needs with its brilliant colours. Straight out of the box, you get Airprint compatibility along with Gigabit Ethernet for superior wired network speeds. Hence, transferring files does not have to be a chore anymore for your small workgroup or home office. Furthermore, it has 4-in-1 functionality for scanning, copying, faxing, and printing with ease. With easy setup and convenient consumables, this device will be up and running in minutes. In order to bring out the best from your M5526cdn, you should use it with only the original high yield Kyocera document solution toner which is good for 4000 pages for black and 3000 pages for CMY. It contains microscopic ceramic cleaning beads and uniform particles for vibrant colours, rich text, and high definition details. Combine it with the durable imaging kit so you would have one of the most reliable printers at your disposal. At the core of your M5526cdn is its amorphous silicon drum which lasts up to 50 times longer compared to other brands. The five toner cartridges are also fully recyclable as they’re made of plastic. This progressive design helps you to reduce waste which means that the Kyocera ECOSYS M5526cdn meets the highest environmental standards. What better way is there to make your business go green than by starting with your printing workflow, right? With this printer, work gets done faster and business flows smoother.